Free Shipping Included! 5 Watt Solar Panel Kit (FM121) for Mighty Mule Automatic Gate Openers by Mighty Mule at Sunny Doors. SKU: 7193436. MPN: FM121. Hurry! Limited time offer. Offer valid only while supplies last. 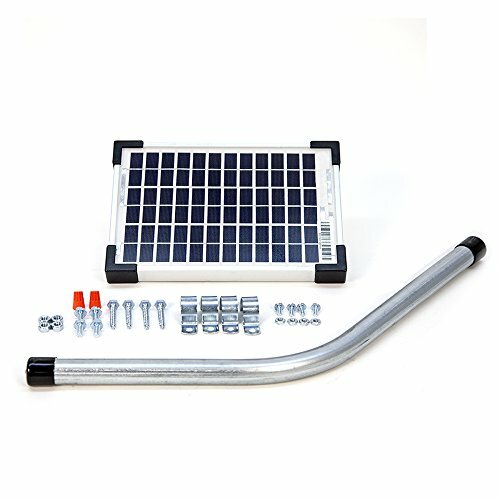 The 5 Watt Solar Panel Kit is an excellent option to use as an alternative source of power for Mighty Mule or GTO/Pro Automatic Gate Systems. 30% Residential Energy Efficient Property Tax Credit. Residential home owners can use this credit on a new operator system, accessories and installation. For gates that lack a power source at the site of installation. Rated for 4 - 13 cycles per day, see zone chart. Easy DIY (Do It Yourself) installation. Backed by a 12 month Mighty Mule Warranty and Technical Support. If you have any questions about this product by Mighty Mule, contact us by completing and submitting the form below. If you are looking for a specif part number, please include it with your message.